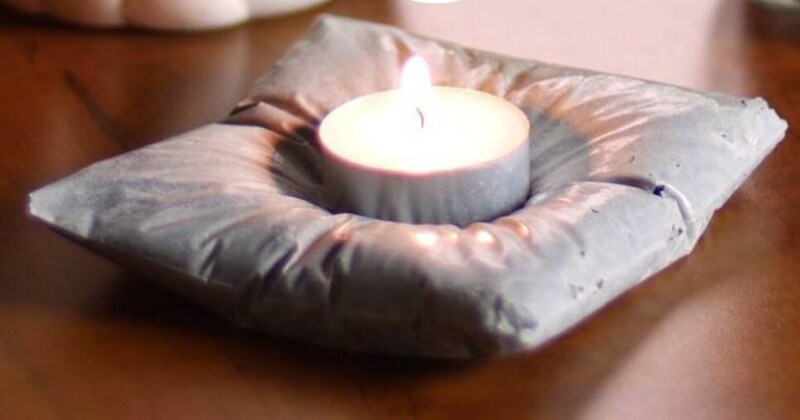 A set of 4 Cement candle holders with tea lights. These are beautiful for any room of your home. These are measured 4" wide and 1" high. At night these pieces makes a wonderful glow to any room of your home.